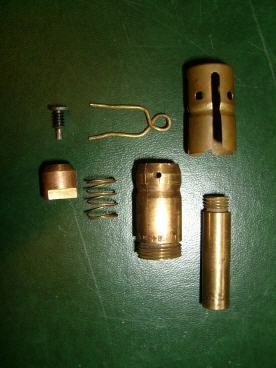 This brass percussion fuze was used before and during ww2. 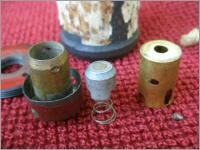 It was fitted to the T91, T97 and T99A grenades. 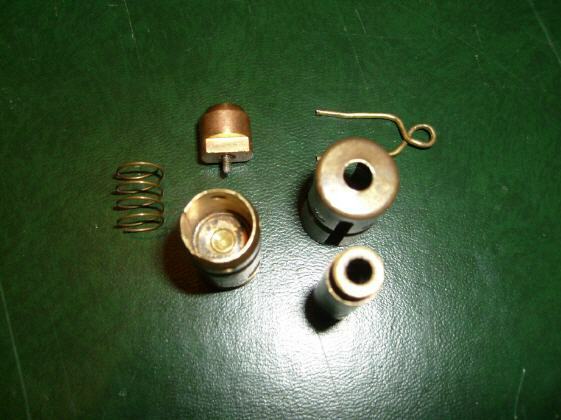 Before throwing, the fuze top was struck onto a hard object, driving the firingpin onto the primer. 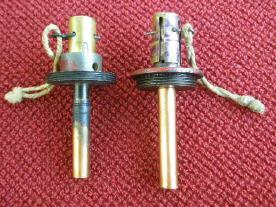 This started the 4.5seconds delay component which in turn ignited the detonator and main charge. 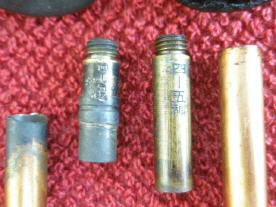 There is a little variety in the manufactured fuzes, but all function similar. 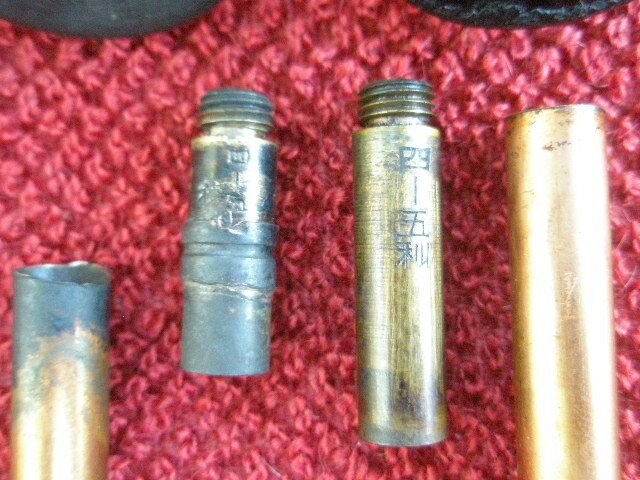 Several different markings can be found, indicating the manufacturing arsenal, inspection marks and year of production. 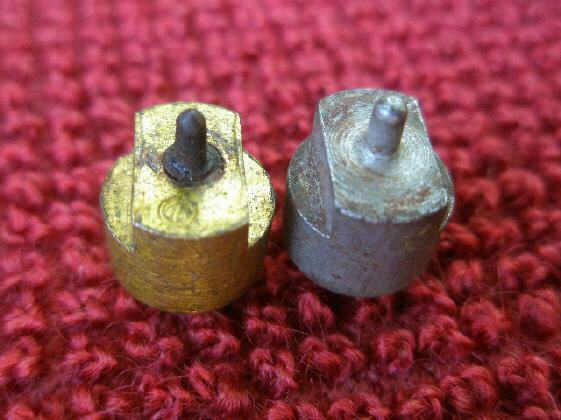 The two photos below show a difference in the fuze and detonator for the T99 (left) and the T97 (right). The cap of the T99 fuze is made different and also has a collar around the fuze base, just above the threaded part. 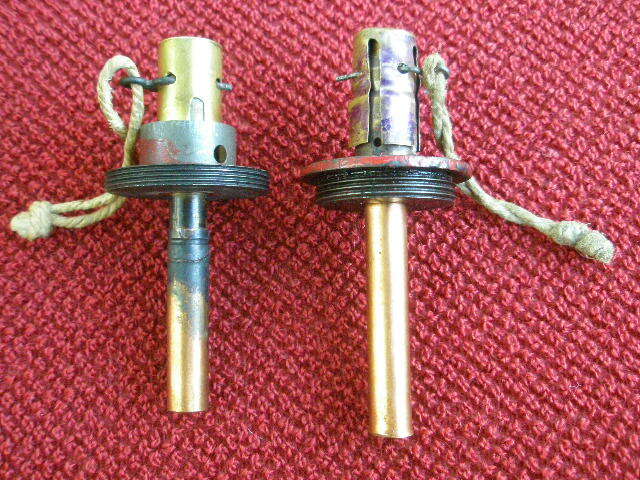 Also different are the detonators that are on these fuzes. All photos below © Dr. Ruby. The photo on the right shows the T99 fuze taken to parts. Here you can see metal collar around the brass fuze body, and the different form of the brass cap. The firingpin is made of one piece, probably to ease the production (see below, right). 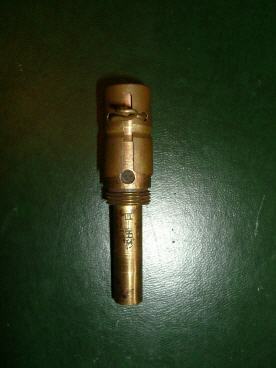 Can anyone provide info on the function of the collar? Please let me know.